Thin Films Classically, Joule heat in thin films is conserved by an increase in temperature. But by QM, conservation proceeds by QED induced conversion of absorbed Joule heat to the TIR confinement frequency of the film. Experiments showing the thermal conductivity reduced  from bulk are erroneous because the QED radiation losses are excluded from the heat balance, but if included, the film maintains bulk conductivity. Nanofluids Nanofluids comprising nanoparticles (NPs) in a solvent are found to increase thermal conductivity beyond that given by mixing rules. Classically, solvent molecule collisions increase the NP temperature and are absorbed and remitted as IR radiation. By QM, the collision energy  is reemitted in the VUV and penetrates farther than the IR, thereby enhancing heat transfer in proportion to the number of NPs without increasing the nanofluid conductivity. Nanofluid conductivity given by mixing rules is still valid and need not be modified. Memristors Memristors  by QM conserve resistive heating by the QED induced creation of photons at UV levels that by the photoelectric effect create holes inside the memristor that decrease resistance only to be recovered later in the same cycle as the holes are attracted to and destroyed by the negative voltage terminals. Graphene Graphene enhanced thermal management  of personal computers (PC) may have been overstated. Classically, almost all of the Joule heat loss from a PC s controlled by natural convection thereby negating any enhanced conductivity provided by graphene. QED differs. A single layer of graphene in intermittent contact with a PC component will not increase in temperature, and instead disspate heat by emitting QED radiation that is absorbed in the air surroundings. Similary, graphene nanoribbons dissipate Joule heat without danger of overheating. 1. DFT in combination with NEGF or any other exotic theory to derive the thermal transport by phonons in microscopic systems is meaningless because conduction is precluded by QM. In contrast, QED avoids conduction by conserving absorbed EM energy by the emission of QED radiation. 2. Phonons are unable to explain electrical charging of microscopic systems for the simple reason that there is no known phonon-electric effect. Only Einstein’s photo-electric effect will create charge from photons – not phonons. In microscopic systems, the photons are created naturally by QM and emitted by the microscopic system as QED radiation. 3. Implementation of QED radiation only requires the absorbed EM energy to be partitioned into the emission spectra of the microscopic system, the effect on the surroundings assessed by more conventional heat transfer methods. Einstein, A., The Planck Theory of Radiation and Theory of Specific Heat, Ann. der Physik, 22, 180-190, 1907. Debye, P., The Theory of Specific Heat, Ann. der Physik, 39, 789- 839, 1912. Lepri, S., et al., Thermal conduction in lattices, Physics Reports, 377, 1, 2003. Peirels, R. E., Quantum Theory of Solids, Oxford Clarendon Press, 1955. Car, R., Parinello, M., Unified Molecular Dynamics and Density Functional Theory, Phys. Rev. Lett., 55, 2471-4 1985. Tan, Z. W., Wang, J-S, and Gan, C. K. First-Principles Study of Graphene Nanoribbons,Nano Lett., 11, 214-?19 (2011). Pop, et al, Thermal Conductance of an Individual Single-Wall Carbon Nanotube, Nano Lett., 6, 96-100, 2006. Prevenslik, T., Heat Transfer in Thin Films,Third Int. Conf. Quant.Nano and Micro Tech., Cancun, February 1-6, 2009. Prevenslik, T., Nanofluids by Quantum Mechanics, Micro/Nano Heat & Mass Conf., Shanghai, December 18-21, 2009. Prevenslik, T., Memristors by Quantum Mechanics, Int. Conf. Intel. Comp. Zhengzhou, August 11-14, 2011. About QED Induced EM Radiation: Classically, absorbed EM energy is conserved by an increase in temperature. But at the nanoscale, temperature increases are forbidden by quantum mechanics. 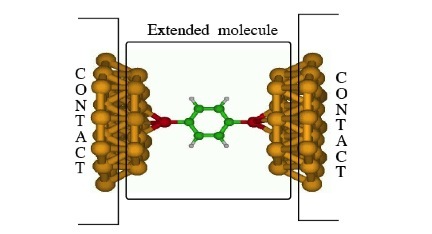 QED radiation explains how absorbed EM energy is conserved at the nanoscale by the emission of nonthermal EM radiation.